You are here: Greenwich / Blogs / Mary Mills / Who is writing and recording Greenwich’s history? Now I am very aware that there are a lot of us at it –every day I see on twitter something someone had published or brought out about our area. Some of it looks a bit dire – and most of it I will never really see. Review copies no longer seem to be around. If it is industrial in nature I do try and track it down and give it a write up on the GIHS blog – but that is sometimes pretty hard work. There are also lots of excellent people doing good things on their blogs – again – how do you keep up with them? There is so much out there and it would be good to know if anyone is actually collating them, indexing them, keeping some sort of track (apart from various sinister machines managed from the above named American state). I don’t have any impression that our Heritage Centre knows about them, let alone notes them down. I guess that one day some one, some where (probably in New Cross) will pull out a plug and the whole lot will be gone. I guess they also don’t collect the numerous admirable newsletters that so many local societies produce. Presumably they are dismissed as ‘amateur’ – although in this day and age many of these part time writers and researchers will be extremely well qualified. What makes someone a ‘professional’ historian anyway?? (I mustn’t go on about the depth of ignorance among some academics, who incestuously only read other academics). This morning through my letter box came a copy of the latest Journal of the Greenwich Historical Society and I am delighted to see that the lead article is by Peter Guillery entitled ‘Deptford and Woolwich Royal Naval Dockyards – the river walls’. Now Peter is someone that any Borough should be proud to have as a resident – let alone as a contributor to the local local history journal. It was Peter who was editor of the 2012 magisterial Survey of Woolwich – and that must stand as the most important contribution to the history of the Borough ever. I was still on the Council when it came out and, well, I was a bit ashamed the rest of the Council weren’t a bit more grateful. But I shouldn’t go on about that. Some years ago I got the Greater London Industrial Archaeology Society to publish an article by Peter on the Greenwich Power Station. I understand that another lot of changes are about to happen there – and happy to try and source more copies of Peter’s article if anyone is interested. At the back of the GHS Journal they list ‘current publications’. Kristina Bedford – Woolwich Through Time – which I haven’t seen, but I note it is from Amberley. David Ramzam with another Amberley published book ‘Three Greenwich Built Ships’. David came to talk to us at GIHS last month about the excellent work he has done on Greenwich shipbuilding - and very good he was too. They mention my horrid little book on Lovells – and – most importantly the book by Neil Rhind and Julian Watson ‘Greenwich Revealed’. Greenwich Revealed is another amazingly important book on Greenwich – Greenwich, Greenwich, rather than Woolwich. It is based on a series of drawings which turned up in a Wiltshire archive and which seem to show some of the posher Greenwich streets in the very early 18th century. Neil and Julian have followed up clues and researched what they can – and continue to do this. This page of drawings have opened up all sorts of insights into Greenwich history – buy it, read it, take it in. I was surprised to go down to the Heritage Centre recently and find that none of these new books were on sale – or indeed anything particularly recent. I do really think someone should be asking some questions on about their sales policy. There are of course many gaps in the publications – and I would like to ask, by the way, does anyone have any information about a publication on the medieval tide mill found on Lovells – or any information at all about the second dig. And – on the subject of tidemills – I am happy to supply information on the 18th century one on the Peninsula, since the consultant’s report on the site failed to mention it (Its where the boiler on Richard Trevithick’s engine blew up and changed steam engine history). The Greenwich Historical Association mentions the leaflet brought out by the Enderby Group. I hope I am not premature in saying the Group hopes to bring out a series of booklets on the history of the site – most already written – and will be announced in due course. Copies of the GHS Journal are available from Warwick Leadlay Gallery, 1-2 Nelson Arcade, Greenwich, London, SE10 9JB. £10.00 per copy, plus P&P as required. “So I thought I would stick with Rob and write something about current historical writing in Greenwich.” – very glad you did! Looking forward to the talk on the 25th. Julian Watson and I are not (I hope it will be agreed) conceited and over self-promoting chaps but in recent months we have written and had published a number of work of intense local historic interest. We took copies not only to Waterstones but also to the management of the Greenwich Tourist offices – there seem to be two, one run by Greenwich Council and one by someone else. We left copies or our books and contact details with these excellent people in both of the enterprises: the book shop and tourist office/s. But from both came total silence. I really do not know what we can do. 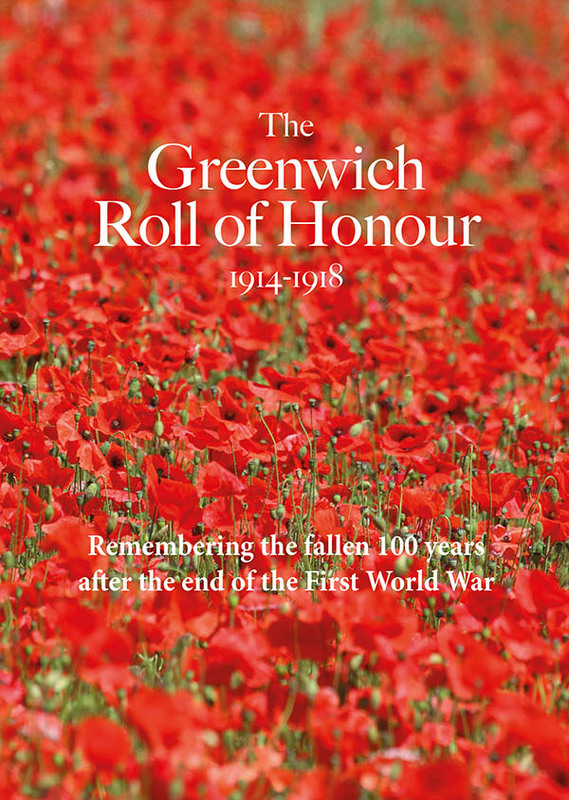 Because of this our books are not now sold at the Greenwich Heritage Centre, at Woolwich Arsenal. The bookshop and the Tourist offices sell all sorts of mass-produced rubbish and popular histories of bits of London, ash trays, and tea towels and heaven know what else, but nothing by local residents Rhind and Watson. You have to go the Warwick Leadlay Gallery (not a bookshop), Bookshop on the Heath, Sabos on Crooms Hill (not a bookshop), or even Fergus Noone (not a bookshop but a photographer) in Blackheath Village. Barmy. Next: Why can’t we buy a decent good scale map of the Royal Borough of Greenwich (with, or without, the Woolwich end)? Yes, there are Google maps but I want a printed one to carry about and keep in the car. My excellent reasonable scale Geographers has the centre of Greenwich cut through on the pages not only up and down but also left and right. The big scale OS is still too small. Neil. What I didn’t say in the article is that I went into the Heritage Centre and left a box of books – some of my own stuff, but also some recent books on local history by other authors (and some of them with proper publishers) as well as the current GIHS programme. I have no reason to believe that any of it has been displayed or sold – and I am intrigued as to what has happened to it. Some of the stuff they do have on sale is over 30 years old. I hope someone passes these comments on to them since I do not think for one moment that anyone there ever looks at electronic media. The GIHS blog carries original articles and research – not it will not be passed on to enquiring researchers since the Heritage Centre is clearly in total ignorance of it. I think I should probably add a word of praise for the HC as I’ve only had excellent experiences in the search room. Rob – I am not criticising the search room at all – they are pleasant and helpful, as you say. What I am complaining about are the book sales (and some other things about reception), the collections policy – as I understand it they are accepting nothing at the moment, and do not collect digital media or local newsletters, their apparent ignorance of local societies, and the work they do, no apparent relationships with local historians or communities, and a reliance on nationally promoted events and a big lack of originality. (By which I mean they have events and exhibitions about things which are in the press or which are popularly promoted – not something new so you can learn about Greenwich). Oh – and the Falcon Hildred print stuck in the gents. Greenwich deserves better than this.